Earlier today, Google Docs and Google Sheets for iOS were updated with Split View support. Google Docs also added the ability to insert images and page breaks in documents. 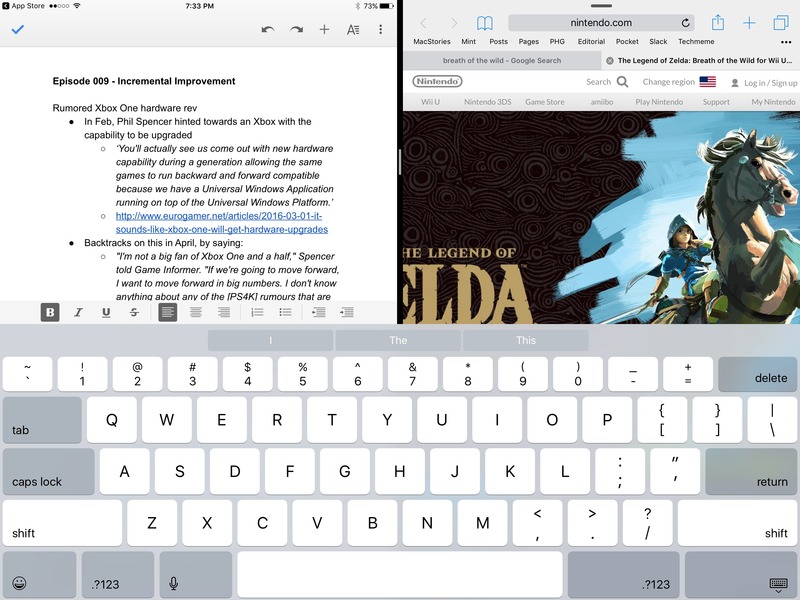 With iOS 9, Apple introduced the ability to run two apps side-by-side on certain models of the iPad. In the ensuing months, Google Docs and Sheets were updated regularly, but Split View remained conspicuously absent. Now, on the eve of the release of iOS 10, users who rely on Google Docs and Sheets can finally write and work on spreadsheets on the iPad alongside another iOS app. Update: In addition to Docs and Sheets, Google has updated Slides for iOS with Split View support.